The famous Santa Fe Trail stretches 800 miles between Missouri and New Mexico. This recording contains documented songs and instrumentals connected with the trail’s rich history. Several of the songs date to the Mexican War and the Gold Rush. Performed on period instruments with historic playing styles, it captures the authentic sounds of covered wagon days. 8 vocals, 4 instrumentals, 33 minutes. THE SONGS: Uncle Sam and Mexico, Uncle Sam’s Song to Miss Texas, California Bloomer, Joe Bowers, Calabra Waltz, The Battle Call, Fort Dodge, Fandango, Home! Sweet Home!, Jim Along Josie, Marcha de Los Novios, Doniphan’s Expedition. 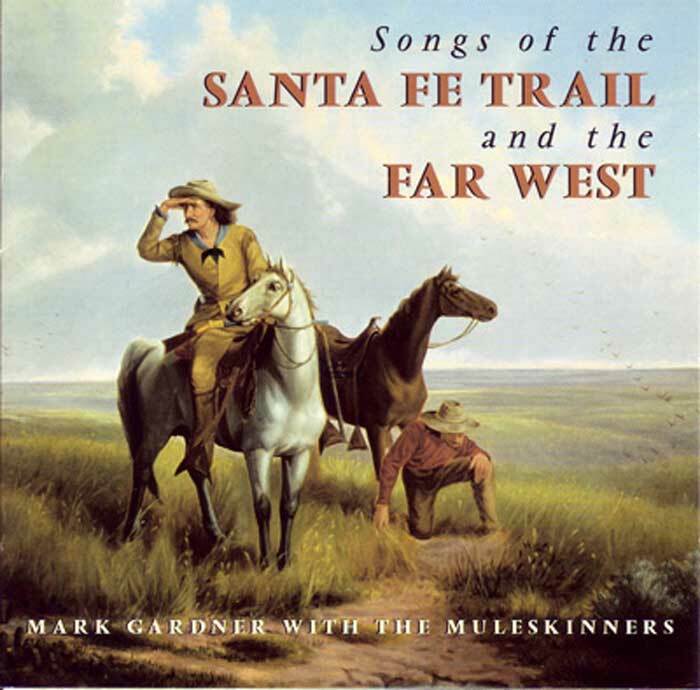 Be the first to review “Songs of the Santa Fe Trail & Far West” Click here to cancel reply.